After the furniture, IKEA is best known for their meatballs. I have friends who make an effort to drive out to IKEA (New York, New Jersey, Hong Kong, Singapore...) for the single purpose of eating two orders of 15 meatballs at a time. Are these the same meatballs ? "Well ... no actually they're not!" 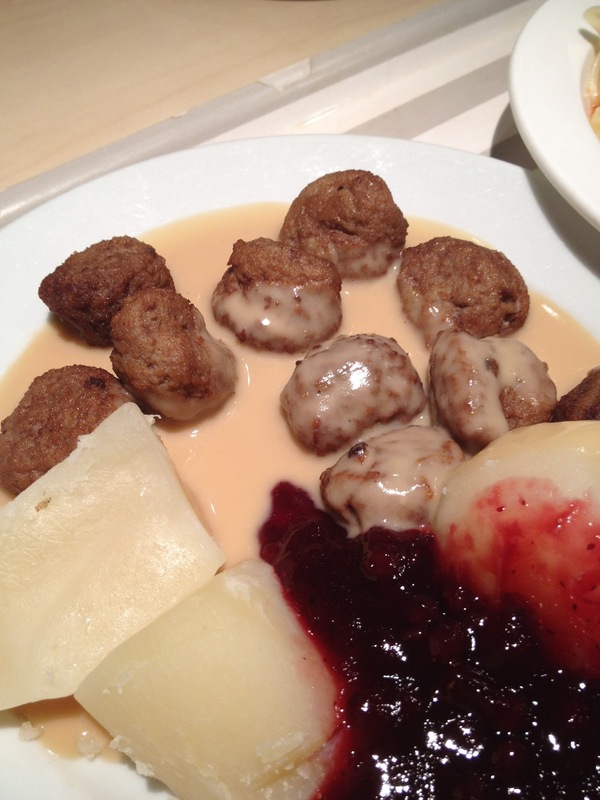 Recently, the IKEA Food Services replaced the meatballs with ones that are made using better quality beef and pork mixed to a more traditional Swedish recipe. The beef and pork are sourced from approved suppliers that operate to the highest quality export standards to ensure food is fresh & safe for consumption. 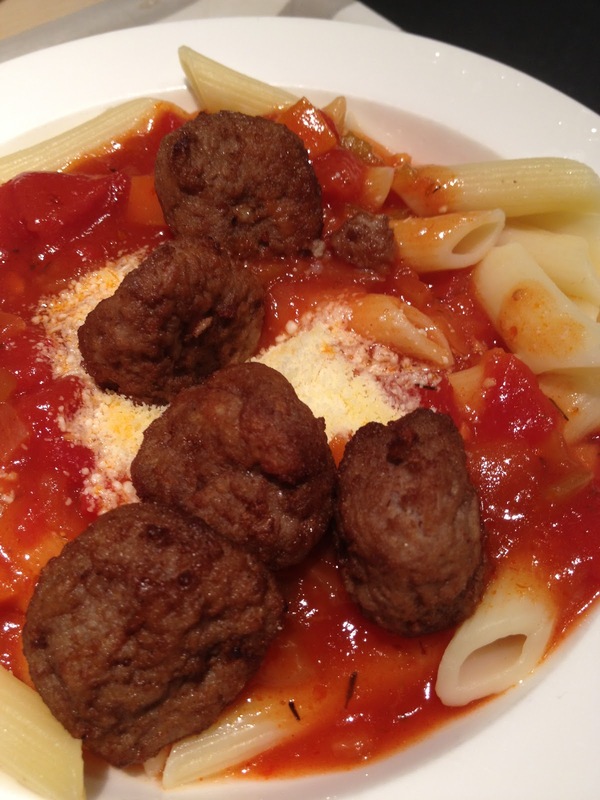 So if you’ve been wondering whether the meatballs look and taste different… you are right! They are different. 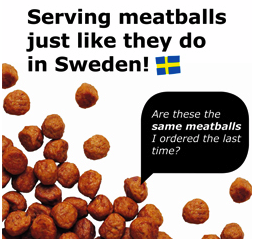 We hope to bring you a little bit closer to Sweden by serving you more authentic looking and tasting meatballs. The reformed meatballs are about 3/4 the size of the original and are slightly oblong - probably as a result of the softer density. There is no longer a bouncy-texture to the bite and instead a mushier consistency, almost resembling meatloaf. Usually, I ask the server to glop on an extra spoonful of lingonberry sauce. This time around, I found the new meatball recipe less salty, less dry with less bite, resulting in not needing as much of the tart lingonberry sauce to balance it out. It's probably true that the ingredients are higher quality, and perhaps closer to what a real Swedish meatball might be in Sweden. But if you're anything like me... let's just say I don't go to McDonald's because I think they have real burger standards, yet I get the McD's processed food cravings all the same. If I want a real burger, I'll go to a proper restaurant or Shake Shack. Verdict: IKEA is not a nice restaurant, so they should just keep it cheap, keep it despicably delicious. Maybe it's just my crave for the familiar, but I don't like this attempt at higher quality meatballs. Give me my salty round balls. Lol. Like that comment about McDonald's. Gotta give them credit for doing that though. The meatballs taste like eating beef patties. No longer the best that we like. Unless they return to the same standards and I don't care whether is more traditional or what, just want those that we used to have. We are not coming back and also many of our friends. I had them yesterday here in OZ ..they are terrible taste like sausage .. sad thing is I bought a packet from the shop in the hole they would be the original and they are not , the sauce too was not the same .. very watery ..I left feed back in the store but had no reply as yet ..